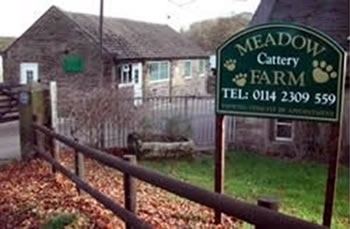 Meadow Farm Cattery Sheffield, South Yorkshire. Superb accommodation for your cat! High quality service for your cat. Situated on the outskirts of Sheffield near to the Peak District. Opened by Jen and Andy Lawson in the summer of 2007 we are a small family run cattery, situated in a farm location, but very close to the centre of Sheffield and within easy travelling distance of Rotherham and Doncaster. We provide high quality accommodation, built to the latest welfare specifications, and with Feline Advisory Bureau trained staff. We have twelve chalets in the cattery which are individually insulated and heated, housed in a secure environment.